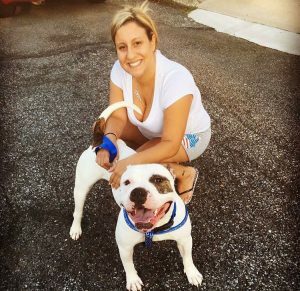 Buddy was living in a kennel in a Brooklyn vets office and desperately needed a home. He was lonely and broken hearted from losing his previous owner. Luckily a wonderful adopter met Buddy and fell in love. Now they’re inseparable!